In Los Angeles, DUI offenses can be punished by a few hours in prison or many years – the harshness of the sentencing depends on many factors, such as the nature of the alleged offense, the amount of damage done to people and property, and the history of the alleged DUI driver. First non-injury offenses, usually involve minor punishments, like a driver’s license suspension, DUI awareness classes, and probation; whereas repeat DUI convictions can lead to a dramatic escalation in penalties. A shocking case from Texas illustrates what can happen to super-recidivist DUI offenders. 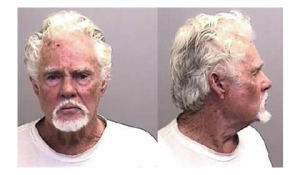 Police recently arrested Harold Moore, a successful janitorial service owner, for his 8th lifetime DUI. Moore had just been released from a four year prison sentence for his 7th DUI. Since Moore had been on probation, any BAC conviction would constitute a breach of his punishment. Moore’s BAC was allegedly 0.27%, more than 3 times the legal limit here in L.A. (and in Texas). Moore now might be looking at 20+ years in prison. The prosecution is attempting to add another 10 years for his breaching probation. Moore’s case may be an extreme example, but repeat DUI offenses need to be aware that courts typically impose harsher penalties and begin adding jail time for every additional DUI offense. In California, after three or more DUI convictions in a 10 year period — or if your DUI causes harm or death — you will likely face felony charges. at should you do if you or someone you love faces a serious DUI count? Will you go to jail? Will you lose your license? Call Los Angeles DUI defense lawyer Michael Kraut immediately to understand your options and craft a strategic response.